As this is a refurbished Toughbook it may have signs of general wear and tear such as pressure marks..
-Grade B- As this is a refurbished Toughbook it may have signs of general wear and tear, non of.. This Refurbished Toughbook will have signs of general wear and tear, non of which affects functional..
-Grade A-Item Grading: Grade A: Excellent condition may have very minor..
DC Input: 12V, 6.5ADC Output: 15.6V, 3.85ASuitable for use with the Panasonic Toughbook CF-19, cf-53..
-Grade B-Item Grading: Grade A: Excellent condition may have very minor..
Refurbished Panasonic CF-53/31 battery.Although refurbished these batteries will still hold a consid.. This is a genuine 3G card for Panasonic Toughbook CF-19 or CF-53. Can be installed yourself or by an..
-Grade B+-Low HoursItem Grading: Grade A: Excellent condition may have .. Fully Rugged sell a large range of Panasonic Toughbook laptops and accessories, If you looking for a laptop that is strong and almost unbreakable then what you need is a panasonic toughbook, Our fully rugged toughbooks are built to last and are designed to be used in extreme conditions. Our panasonic toughbooks are shockproof, water resistant and can be used in any weather conditions. Panasonic toughbooks are used by the military worldwide as well as on building sites and in jobs and areas other laptops wouldn't survive. 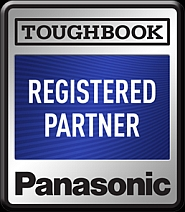 Our used Panasonic Toughbooks come with a 2 year warranty and have been thoroughly checked and tested to ensure that you receive a Toughbook in flawless working condition. If you job requires you to have a fully rugged toughbook then buy with confidence from fully rugged, the panasonic toughbooks specialists. The Toughbooks that fully rugged sell are of toughest on the market, In fact, even in active operation they can withstand falls from a height of up to 76 cm without damage, with the hard disk remaining intact. Our panasonic toughbooks are used by the military, polices forces and fire services worldwide. So you can have peace of mind knowing your toughbook will withstand anything you can throw at it. This is a genuine GPS Kit for Panasonic Toughbook CF-19. The kit is complete with GPS module, A..
-Grade B- This is a refurbished Business Filp-Over Windows 10 Ultrabook they have signs o..